For the first time ever I managed to eat a warm meal thanks to this product! 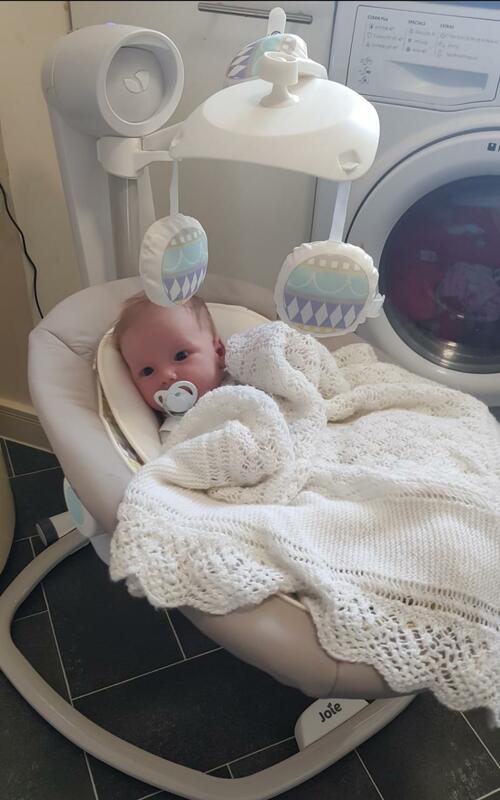 I wish I had bought this product sooner it is has been a life saver for me and my partner, my daughter settles really well in the swing and sometimes it is the other thing that will get her to sleep! It’s easy to use and set up and also it has so many settings and sounds to play! Love this, bought as my daughter likes to be rocked to sleep so instead of spending half hour rocking to sleep I would be lazy lol. Plus daughter has reflux so has helped her. Has three different positions for the seat, sitting up to laying down. Can move seat around easily. Swinging can be adjusted from slow to fast. And has music or white noise. The downside is its very bulky and the toys could be more exciting. Also the straps could be more adjustable too. But absolutely love this. 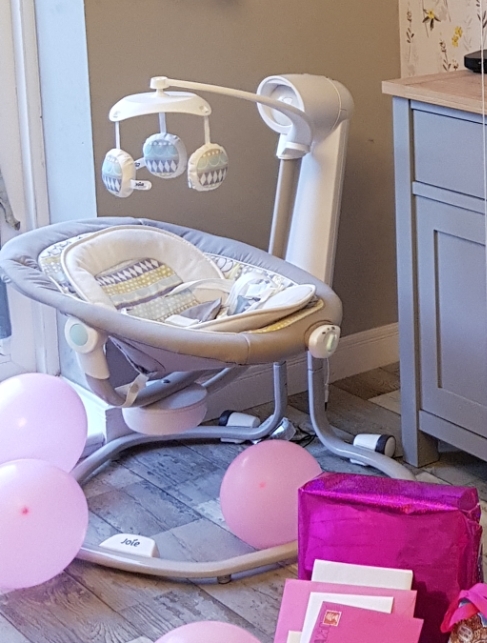 Loved this swing, when our girl was a tiny baby she would only settle off in her swing and helped her relflux as she was tilted up slightly. The calming music use to send us asleep aswell! Has many different features and can change the chairs position. Runs on mains. Doesn't collapse, has to be taken apart. The toys could be more entertaining. I absolutely love my Joie swing chair and would not get anything done without it. The seat changes position, so the chair can swing or sway. My baby prefers the swaying side to side as it's much more natural and what we do when cuddling her. 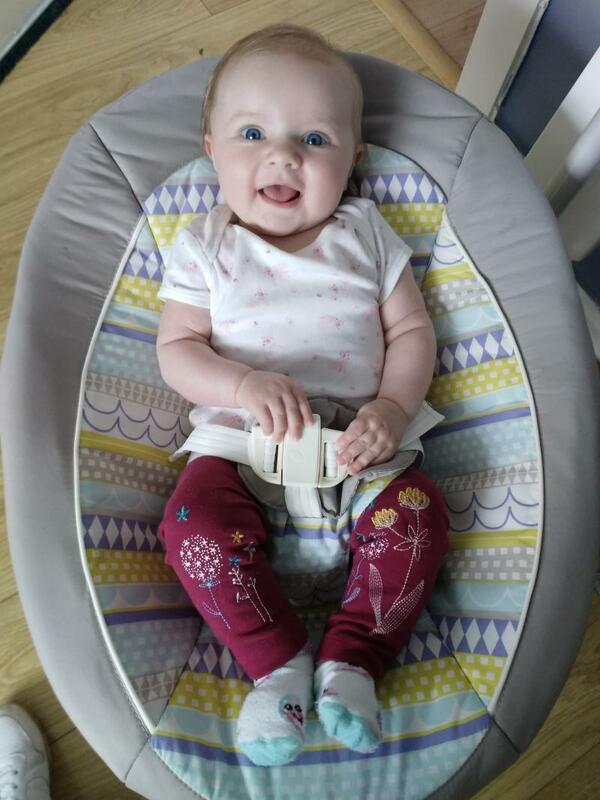 It is a lovely open chair so must be comfortable, and would be easy to feed in, but I cannot imagine her being in it for as long as some other chairs would allow as it's not as deep. There are many songs and sounds, however the songs play on a loop repeat, I'd prefer the option for the song to loop or for them to all play one after the other as it gets a bit repetitive for me. Some babies may only prefer one song so the loop option would still be helpful to some. The chair doesn't collapse in any way therefore has to be taken apart, which isn't a problem to me but could be for some. It's perfect as it runs off the mains therefore you don't have to worry about batteries running out and replacing them in a rush! The vibration does however require batteries to work. Great design, more funny FOR BABY then I aspected. MY DOUTHER love it I'm so happy I could used this product, I'll be soo sad when time for using will finish. I recommend this product for everyone. My son loves this and often falls asleep in it. 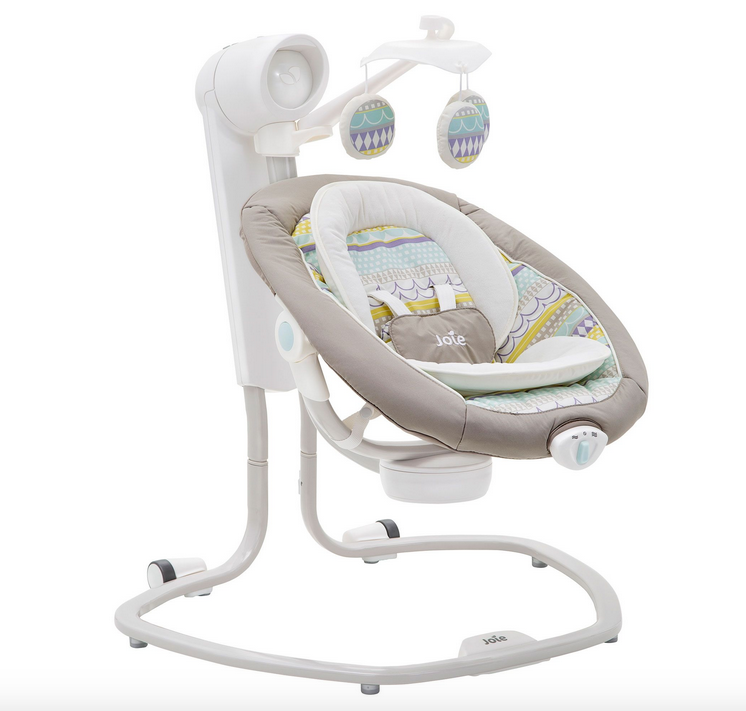 The rocking motion is perfect for babies with colic. It was a lifesaver as I couldn't put my son down for more than a few minutes until we bought this. It is quite expensive but worth it. It is quite large in my small room. Battery life has been good. I love this product from the moment I saw it and I bought it for my first baby boy, currently using it again for my second baby boy.’it very to put together and does not require two people even easy to pack up again for next time use. Disadvantage is less music/sound. I think this is an amazing swing for baby’s, I had a different one for my first child and this one is so much better. 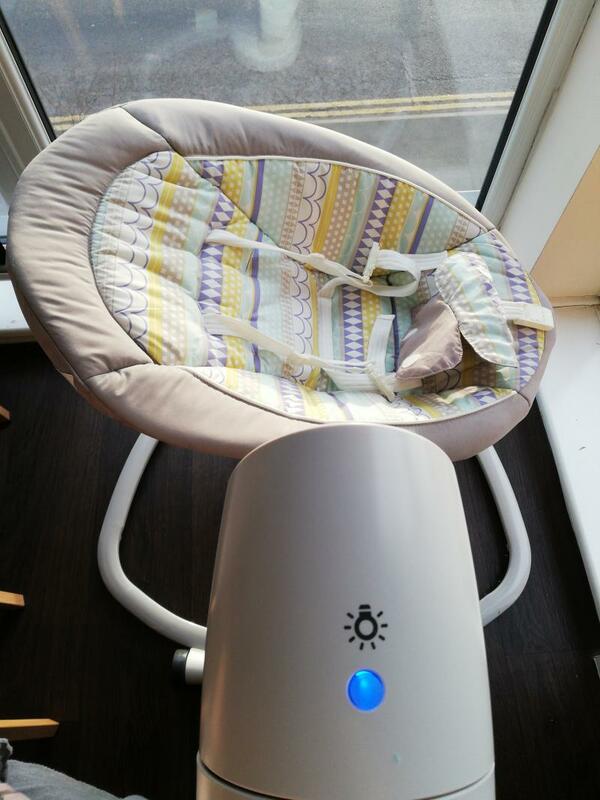 The seat reclines from a sitting position and it also moves from from side ways to front ways depending on which way your baby prefers to be rocked. 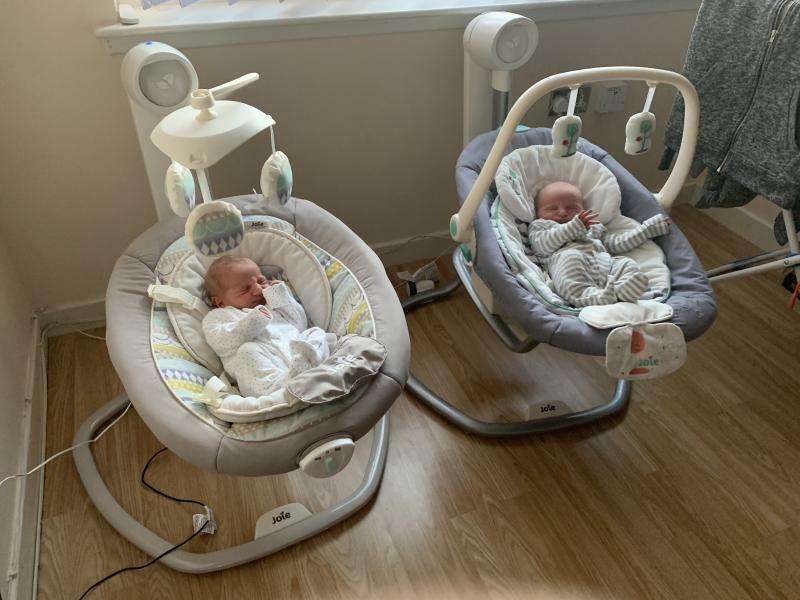 It also has a nightlight which is brilliant for when it’s slightly darker and wanting a relaxing sensation for your baby along with the sounds you can put on and different volumes. It also vibrates two different settings depending on which your baby would prefer. We purchased this product after seeing it online, had it up in the house way before baby was born. Many setting, music and nature sounds, my baby loves the white noise. There are many swing speeds and the charge can rotate and you can change the incline of the chair. This product is great for new baby's but my little girl seemed to out grow it very quickly it would be great if it accommodated babies 4+ months too because this was perfect to put my little girl in when she wanted to sleep during the day, it vibrates and swings which is great and it's easy to adjust the speed of the swinging and vibrating it even has differt music and sounds like nature sounds and white noise! 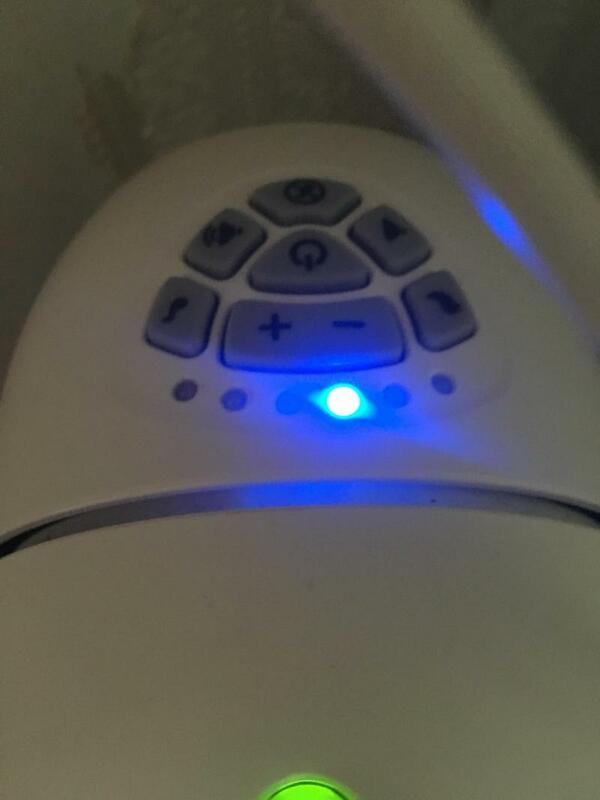 It has a light built in that you can change the brightness of which is also good but it does go off by its self after a while. Cleaning the seat fabric is a task itself as you have to unscrew all of the back to be able to get the fabric off and then screw all of it back in once you've washed it which is very time consuming especially when you have a young baby to look after in all is a good product quite expensive but you do get what you pay for! Soft. Safe. Easy to clean. My baby girl is 7 weeks and loves her rocker. The seat belt is safe and soft. The light keeps my baby occupied. The hanging place toys would be better if they lit up too. The songs are good, but could do with a few more maybe..? 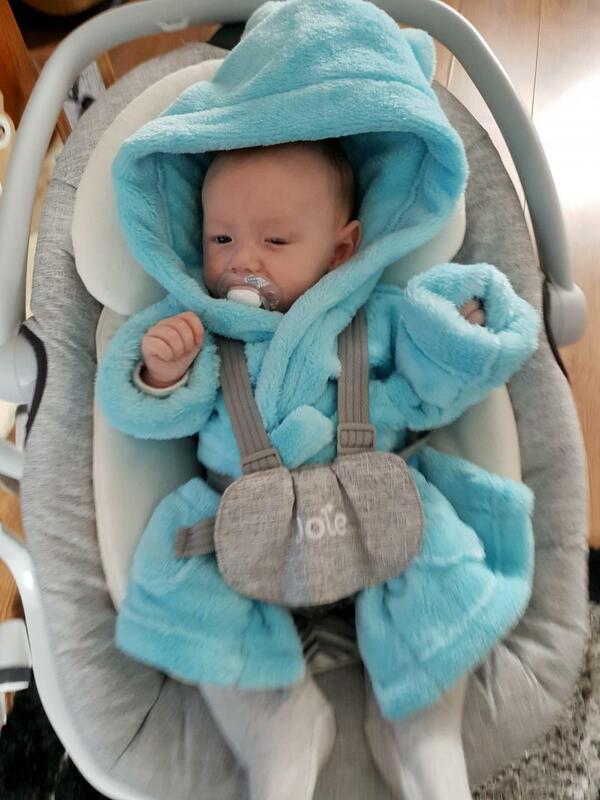 This was the best gift we received for our baby boy and he loved every minute spent in it. This can be used from birth and would calm the baby and put him to sleep. It swings and can easily be changed position with a simple twist and click of the chair. It plays several different times and noises to sooth the baby (including animal noises and white noise). The only bad point is that it only holds a weight of up to 9kg so he was only able to use it up until 4 months. Multiple positions and uses. Good form swing. Large and cumbersome. Can’t be easily moved. This was a fantastic buy for us. My girl loved the good firm swing gave as opposed to other more gentle swings which didn’t suit her. 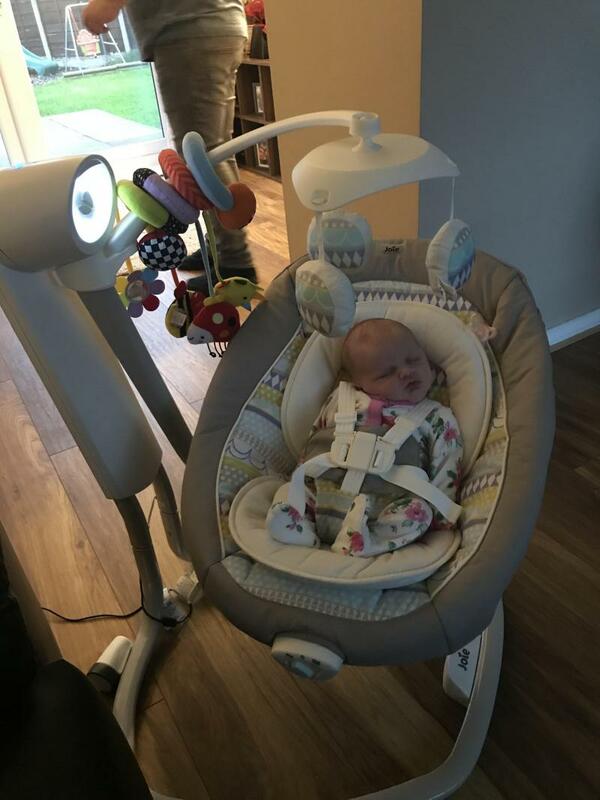 It has various music and sounds, a light, can swing front ways and to each side which is nice to be able to easily turn baby round. 3 recline positions makes it good for when baby is small and needs to lie flatter. A really brilliant buy which I would firmly recommend and would definitely buy again. The swing is quite an expensive purchase but on the up side you are able to operate it via mains electricity which saves on buying batteries like a few other swings/bouncers. 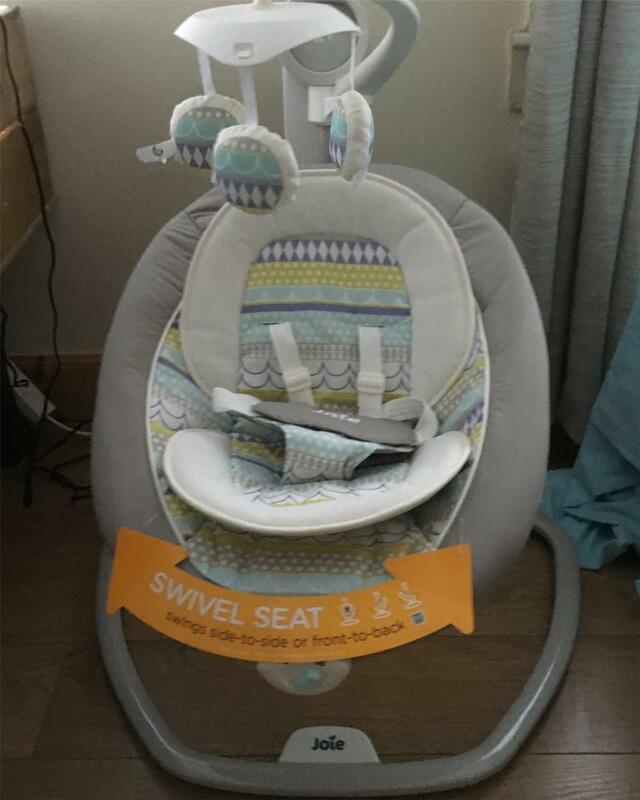 It can be used as a rocker if you take it off its base so if baby is asleep you are able to take the seat with you into a different room etc. You have got different sounds to soothe baby and different noise levels. The vibrate function is also good. 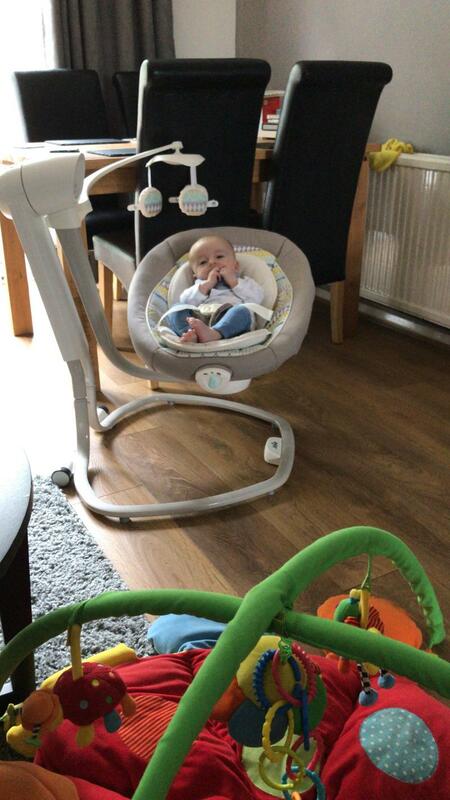 The only downside is the size of the swing - it does take up a bit of floor space!! Easy to assemble, comfy for my baby, good selection of sounds and swing speeds. I paid£99.99 for this. Although it is quite price i use it daily and is well worth its money. Firstly it can be plugged in and battery use. I had a battery one for my older daughter and i probably spent £100 on batteries to keep it running. Its well made, and secure and baby feels safe. The colours are modern and fresh. There is 6 speeds from very slow to actually quite fast. I do not use the highest 2 speeds as they do seem pretty fast, i wouldnt even like to be swung that fast! Its moveable with two wheels buy its not that easy as when draging it the swing is moving and makes it go in all sorts of directions. The sounds have a good variety of songs and white noise. And can be quiet or loud. There is not really much use for the toys if i am honest they are boring. 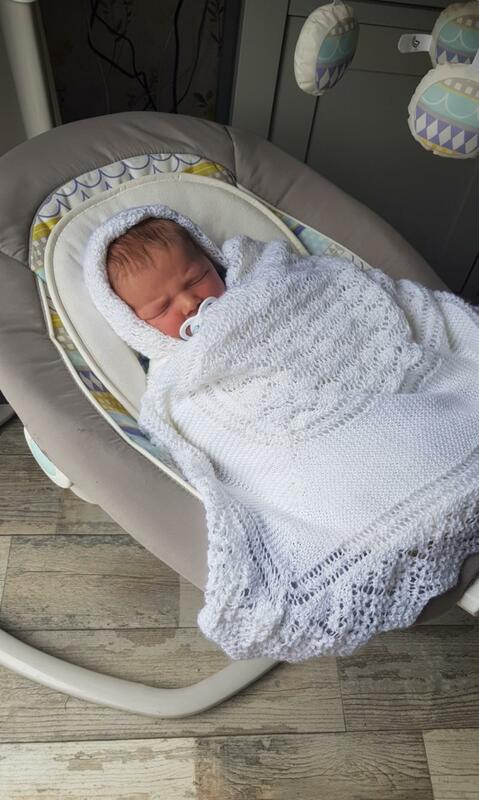 As a newborn he basically slept in the swing. But now he is older at 4 months and wants to try and grab things, he is not interested in them and gets fustrated if he is in there for more then 5 minutes awake because is is bored. However he will sleep in there for a good hour! 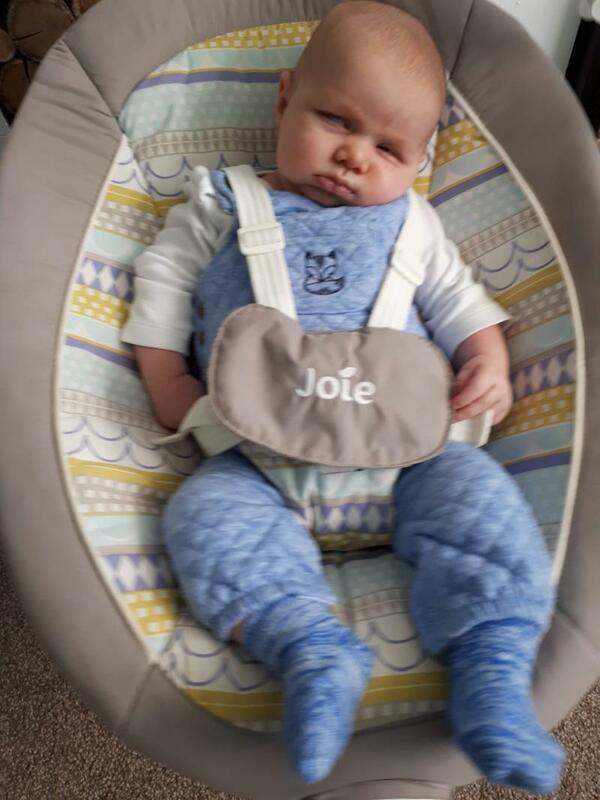 I dont see it lasting until he is 6 months because he is now to interested in the world and the straps are on there biggest now, but ive used it daily and has been a great help as a mother of 4 trying to get ready for school in the mornings and cooking dinner. I 100% recommend this item. 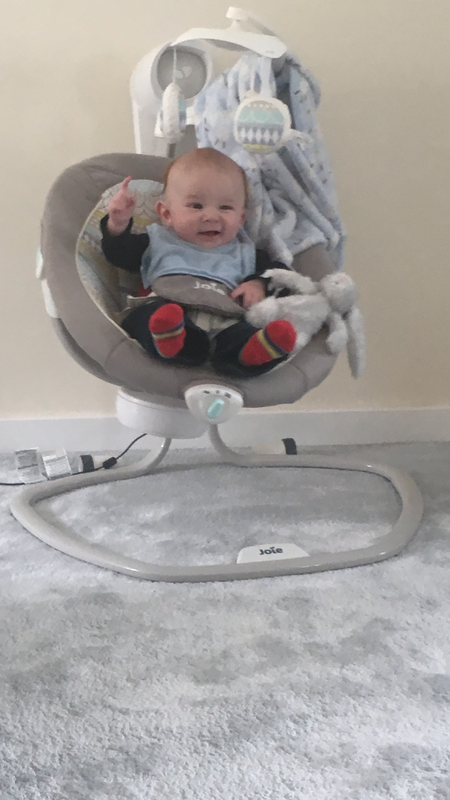 We got this after we notice a normal bouncer chair didn’t have enough moment for my then 5 week old. This is great as the maximum swing is quite fast and he loves it. There’s a great selection of music and sounds and you can play music from your phone also. This can be plugged in or battery run, we’ve never have to plug it in or change the battery yet and it has now been used every day for 12 weeks. Would definitely recommend as keeps baby well entertained. Great product! 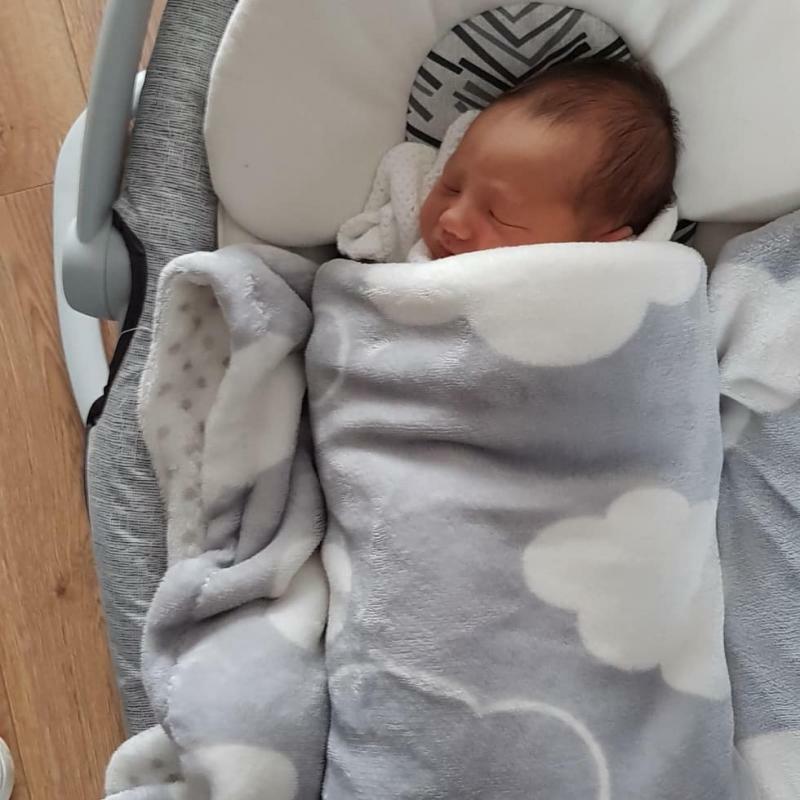 My daughter was tiny when she was born and originally hated it but after 4 weeks she loved it! Really handy when you need to do things! beautifully. looks very good. great. I am very happy with the purchase as well as my child. I really like the melodies and that you can change positions. the only downside is that it is big and hard to place. toys could have more variety. but generally worth the price. you only need a lot of space. 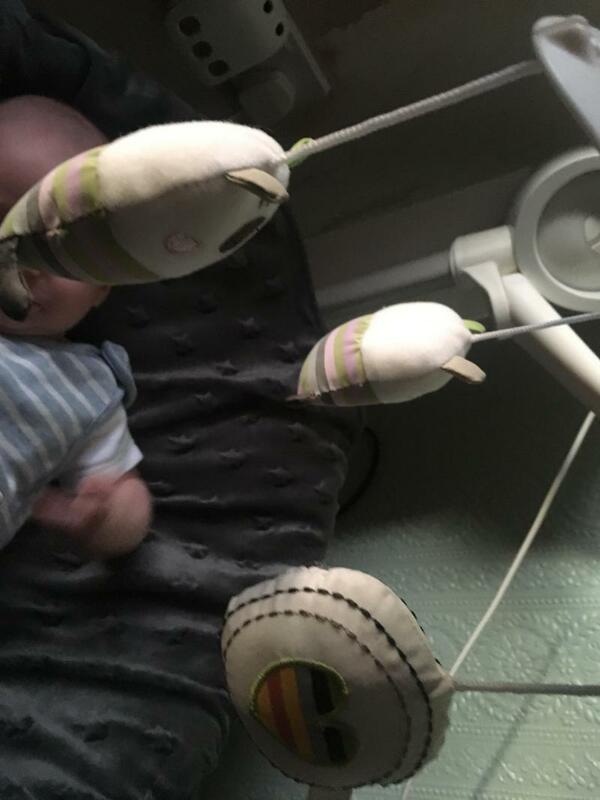 My son easily falls asleep in his swing with the vibrating part on high and the swinging mechanisms on 3 or 4. He is 7 weeks old and also enjoys talking to the toys above. It would be much better if they moved around though. 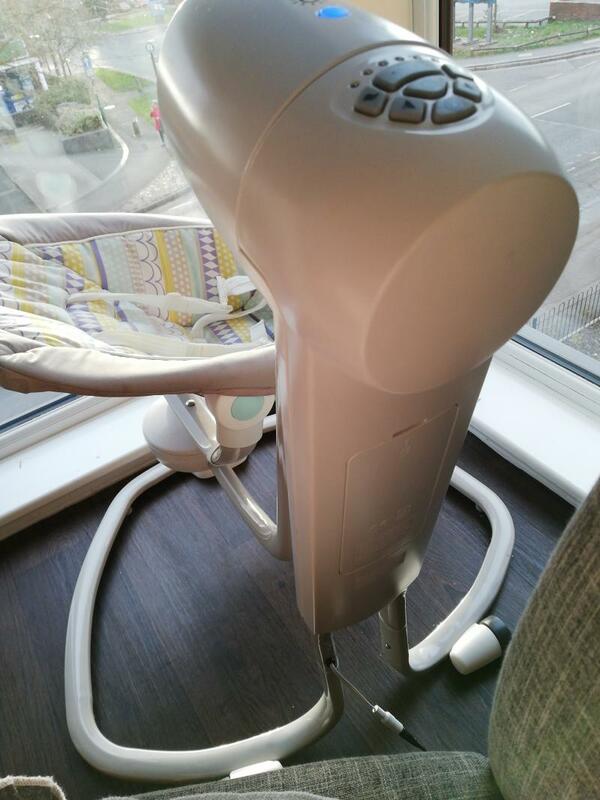 This has been one of our favourite baby products. Yes it is expensive but it was worth it's weight in gold. Our son loved sleeping in it for naps and looked so comfortable and safe. I loved how it came with a light, vibrations, swing and music/white noise. It is literally everything in one. 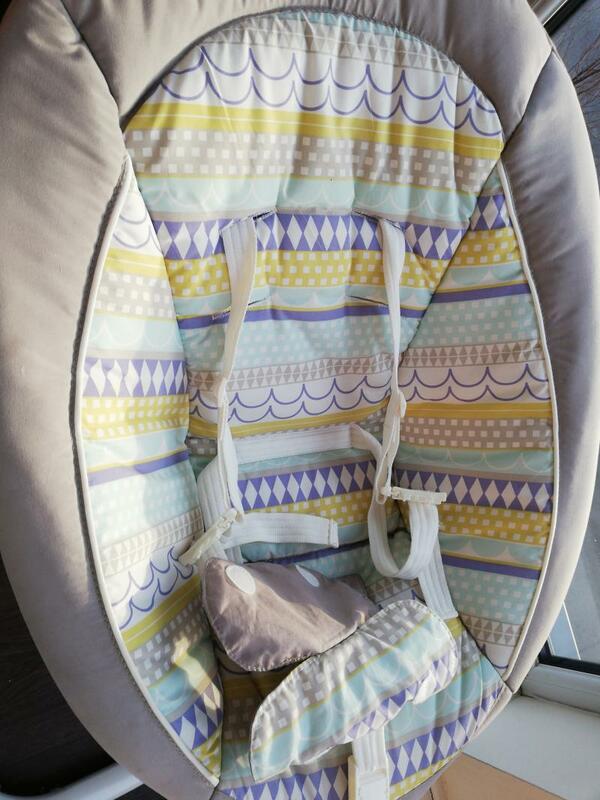 It was extremely easy to wipe clean and the insert is easily removable once your baby is a little older/bigger. The only downside is it is very bulky and quite difficult to move around. 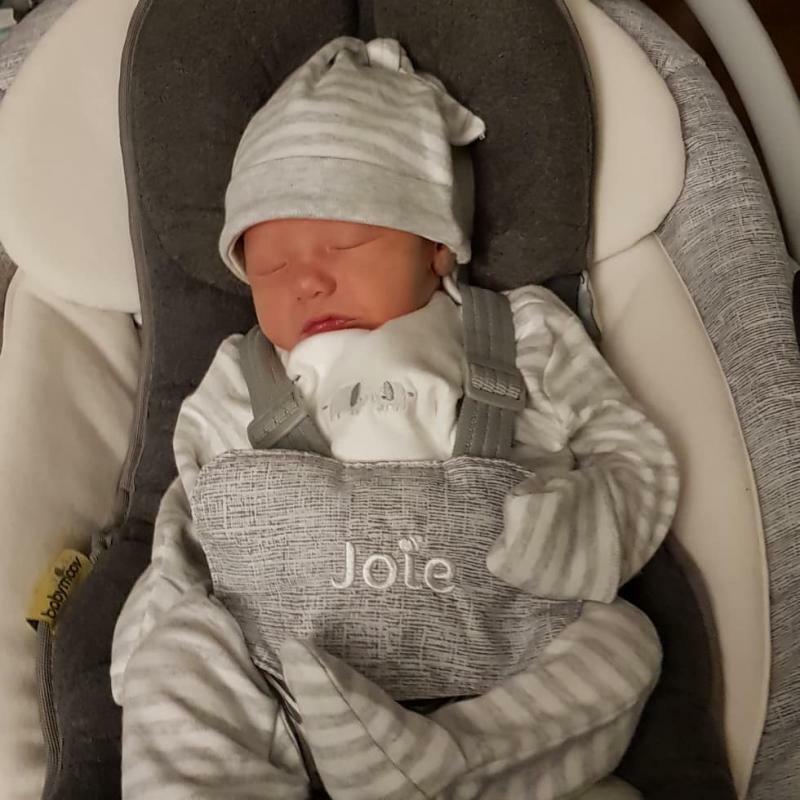 Joie have created a completely versitile and soothing baby swing in the Serina Swivel. 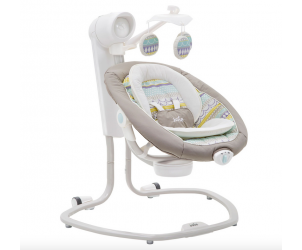 Designed to swing any way you choose so as to relax your baby from birth onwards. Wheels and an integrated handle make moving the Serina Swivel so easy, it's easy to seamlessly fit into your family home and lifestyle, with many benefits for baby too.